Puerto Puyuhuapi is found 30 minutes by boat from the Lodge. As often in the case in Chile’s southern lands, the history of the village was born from perseverance and tenacity of it´s people. The colonization of Puyuhuapi began in 1935 when two young Germans, Otto Uebel and Karl Ludwig, arrived searching for lands t emigrate with their families from Germany, motivated by their spirit of adventure and a fear of war in Europe. The colonization policy in Chile, with the aim of exercising sovereignty in the vast unpopulated lands of Patagonia, granted land to those who made it habitable and productive. They chose the end of the Puyuhuapi Fjord and with the help of some men from Chiloé they began to erect the first constructions and started the complex task of converting virgin forest into fertile land through a system of grazing, in order to begin farming work. Later, Walter Hopperdietzel and Ernesto Ludwig arrived. With the jungle and sea as natural borders, they could only reach other destinations via sea or by opening up passages through the jungle with axes, machetes, or knives. However, despite the difficulties, Puyuhuapi was progressing. It was declared a town and supplies improved, attracting more German pioneers, especially after the Second World War. Also more men came from Chiloé looking for work. 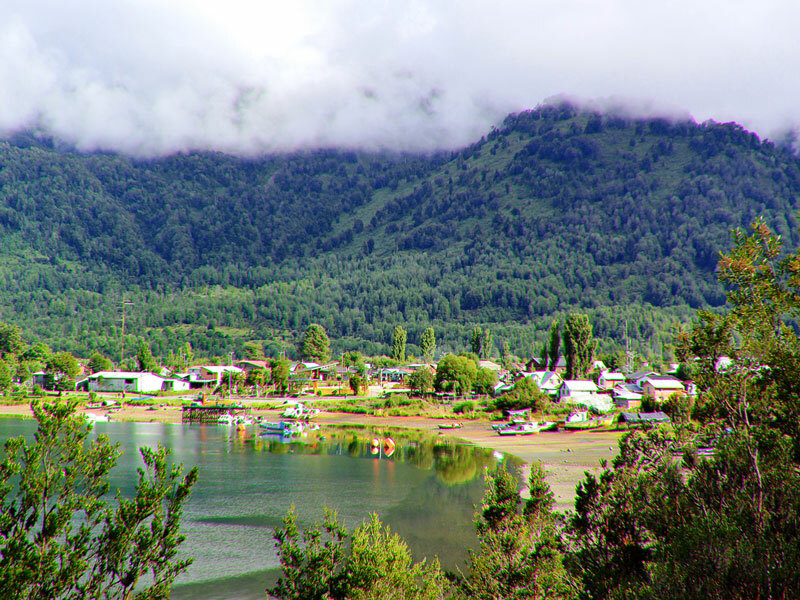 Puerto Puyuhuapi has approximately 500 inhabitants and continues developing, with inhabitants who work in farming, tourism, and fishing in the area.